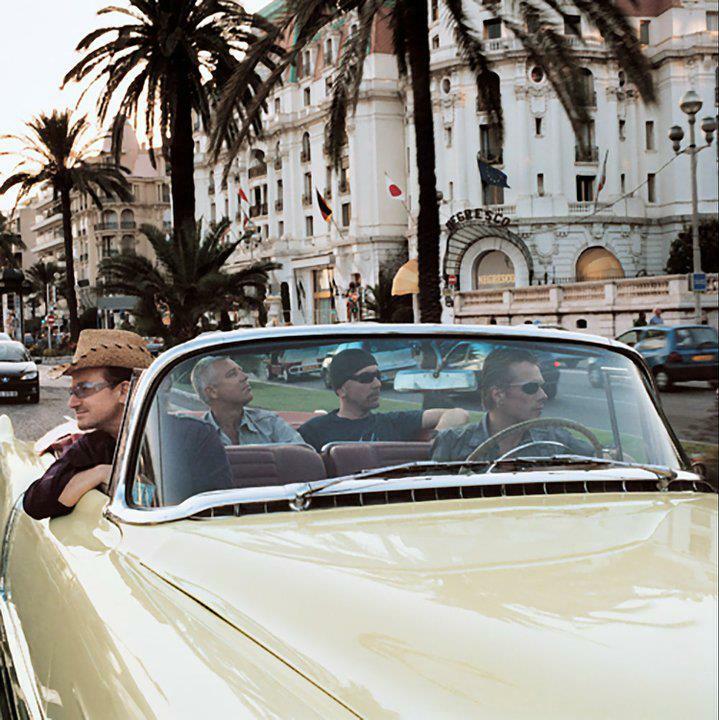 U2. . HD Wallpaper and background images in the U2 club tagged: u2 larry mullen jr the edge adam clayton bono. This U2 photo might contain コンバーチブル, 通り, 都市現場, 都市環境, ストリート, 都市, 都市設定, 都市のシーン設定, ロードスター, ランナバウト, 2人乗り, ランナウト, and 2 人乗り.